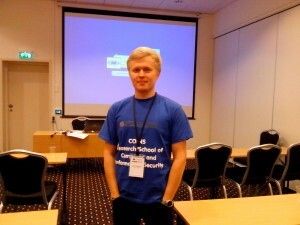 The 8th Norwegian Information Security Conference, NISK 2015, took place at Ålesund University College in Ålesund in the period 23 – 25 November 2015. NISK 2015 was organised in conjunction with NIK 2015 and NOKOBIT 2015, and was sponsored by the FRISC network for national ICT security research, funded by the Norwegian Research Council NFR. NISK brought together people working in ICT security mainly from the national community, but also from the international community. COINS student members participated in NISK. Here are their pictures and reflection reports.